OK. I managed to install ESRGAN on my computer. 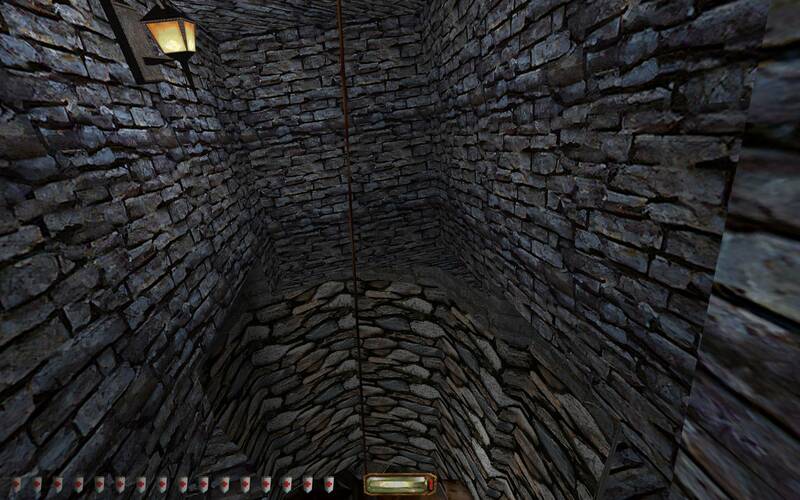 So I wonder if this is possible to resize Thief Gold original textures. I tried several times with different settings, and it looks rather good. Sometime it needs some manual editing or choosing between models. 1. I don't know very well engines capacities. Sometimes files are in .pcx format, sometimes in .tga, sometimes in .gif. What the difference? Could I just use .png in NewDark? 2. Why there are two folders sometimes - txt and txt16. As I understand txt is for low graphic, txt16 for high (so we don't need to do anything with txt folder)? 3. What is the file pspbrwse.jbf in textures folders? Is it some thumbnail gallery for graphic editors by accident left in production? 4. What for are files full.pcx? I plan to make this pack to install on top of TFix (and EP1) but before EP2. So I need also to resize TFix fixed textures. 1. Why there are sometimes textures that are very close to originals, but altrered in some way without any changes in quality? Is this because they are from Thief 2? Maybe there is a point in upscaling original Thief Gold textures separately from Thief 2? 2. Why there are several exactly the same textures in different resolution? Example: Cowall, Cowallm, Cowalls. Could I just create one high resolution texture and rename it 3 times? 3. Why there are sometimes files _full.png, that are not present in Thief original files? What the point??? Ok, I understand that one model is for player hand and one for appearing in the world. But what about other folders, why it is completely the same texture everywhere? For which mod is this link? I like textures a lot, but sometimes they differ from original in style. Regarding point number 5. 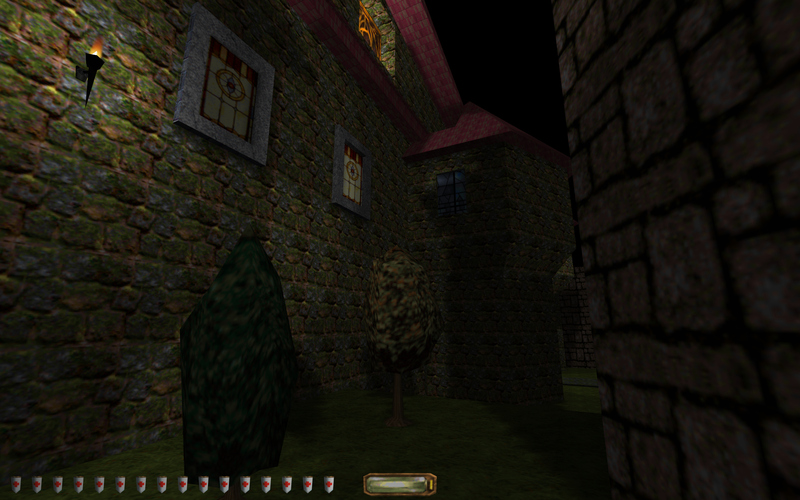 That is the ongoing Enhancement Pack (EP1/2), which is an attempt to faithfully recreate original T1/G/TMA textures. Hmmmm, there is an interesting possibility in training ESRGAN with ready textures from Enhancement Pack 2 so it could upscale textures better. Just need to apply dithering before training. Last edited by Akven; 5th Feb 2019 at 06:52. This is really fantastic Akven! Yes, Manga109 is much better model for low quality old games with dithering. Do you intend to upscale the menu interface? ESRGAN upscales it perfectly (much better even than textures), you just need maybe to edit all the clock's textures to fix some numbers. It goes from 640x480 to 2560x1920. So we can after 4x upscaling reduce size to 1920xSomething or somethinGx1080 (4:3 yes) with little sharpening if neccesary. But I don't know how the game would accept this files with higher resolution. And second question - what about different Thief Gold/TFix/EP1 textures? Maybe we should stuck with original ones? Also, yesterday I waste about 3 hours in setting up my own training model based on EP2 textures, and it is training now. So, when it passed about 10000 iterations+, we could try it on Thief textures and compare to Manga109. I took all the HQ textures from EP2, reduced them in size by 4x and reduced number of colors (16 if I am not mistaken) to imitate dithering. So now it learns to upscale images based on low res dithered images and comparing them with HQ EP2 textures. P.S. Again sorry for my english, not my native language. Akven that 'training method' sounds really good! Can't wait for the results. I will not upload the pack today because i have to fix some texture things. It works great especially for symbols and patterns. Also very good for mesh skins! 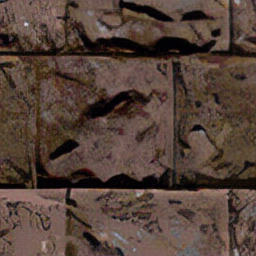 But not for all stonewall / cave textures (it has somthing of a comic style look). 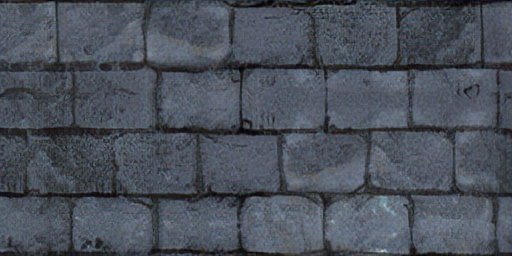 You have to improve stonewall textures here and there by yourself. Some textures have no chance against the quality EP2 textures. But it's still amazing for me what you can do. No textures in this video were improved by myself. I only unscaled them with ESRGAN! So i did no correction (only a bit more saturation). Last edited by Gecko; 6th Feb 2019 at 11:57. Now THIS is an texture mod I can get behind. No offense for almost all the others, but they stray too far from the aesthetics of the first game. I was kind of thinking the same thing. It's really subtle, so subtle some people might not be impressed with it, but that's exactly what I like about what I see in that video. Do a texture-only pack in that style (no custom objects), and you could drop it in and use it even in missions from the 20th Anniversary contest and many (most?) people wouldn't mind. I manage to train my own model. But it seems I need to make more tweaks and re-run training. So it is long course for now. Made some mistakes with dithering. Last edited by Akven; 6th Feb 2019 at 23:24. Thank you. I've made some tests with rocks model but i don't like it. I also tried a mix of both (manga + rocks) versions but it doesn't convince me. I prefer the manga version. What is the max. resolution for interface textures? I think it's still 640 x 480 right? Can anybody confirm this? I don't like it either after my tests. It is useful for 5-10 special textures, no more. But on these textures it better than Manga109. I'll test interface on my FullHD, maybe engine will not support this. 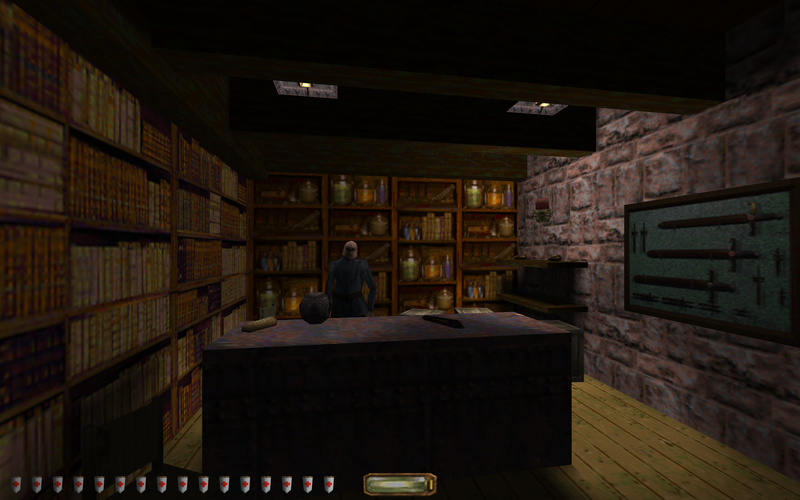 And what about different textures in TFix and Thief Gold? How does ESRGAN compare with using the resampling tool in PSP? Does ESRGAN have batch processing like PSP does? It seems that if you upscale a texture it (the face of a brush) would have to be down scaled in dromed to make it look right. Yes, that's the name of the thumbnails cache file that Paint Shop Pro's image browser created, back in the days. I trained my own model. I don't like the results very much, maybe I made some mistakes in setuping. I trained it on textures from HD mod by applying some dithering to lowres images. Manga109 is a bit cartoonish, while my model somitimes "dirty". But. This dirty look is better for stones than Manga109. Gecko, if you will provide base mod, I could try to improve specific textures by trying different models one by one for every image. Also I'd want to sort out TFix/Thief Gold different textures like COWALL texture. Also. You know that you could combine models between them by using interpolation parameter? There is something in documentation. Looks nice. What method did you use? It seems interface is hardcoded to 640x480 similar to movies. There is no point in resizing it. Ok. Here are the files that are better in quality while retaining original look from Thief Gold, located in Thief Gold\MODS\FAM\ directory in TFix. There is a point in porting them to ESRGAN mod. Everything else just differ in aesthetics. There are some files in better quality but with misplaced colors or wrong patterns - but esrgan will do better work in just upscaling originals (which will neutralize quality differences), saving look of Thief Gold. P.S. Could we upscale mesh and obj textures or they will not scale propely? Nice work, is this coming soon or will this project takes a long time? I want test your new texture samples but i dont understand how to install them. I played around with this at the time that people were talking about them a few months ago, and I found the results to vary wildly. Sometimes it looked good, but nearly always it made the textures look too cartoony and hand-painted to really fit with Thief's mostly "realistic" style, mostly because it tends to make the lines and edges too strong and sharp, even on the textures that they work fairly well on. It looks like you've managed to get some better settings than the ones I played with, as your results look a better. Someone would really need to go through every texture and decide which ones look like true improvements, and which ones just end up accentuating the wrong detail and making the texture just wrong. 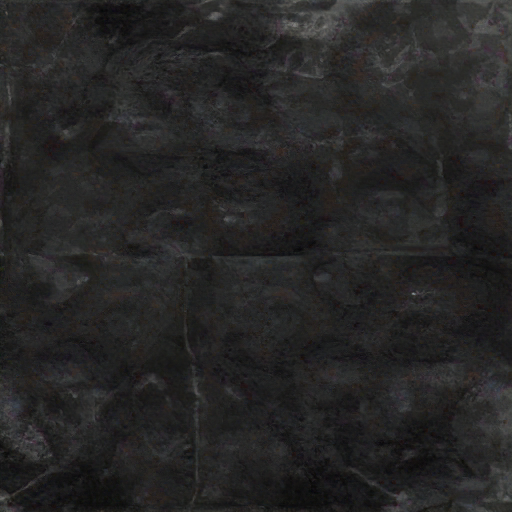 They might also be useful for an artist to use as a base for replacement textures... though there usually aren't so many skilled artists around with the patience to spend hundreds of hours on this kind of thing.